Stylish and performance-ready. 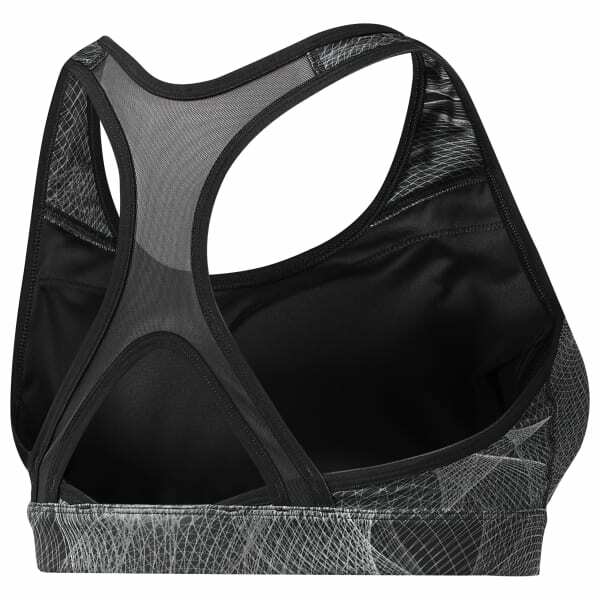 This racer-back running bra features a creative print that was designed as a partnership between Reebok and Parisian artist Sebastian Preschoux. The print is Preschoux's interpretation of digital running data. This bra is made with compressive Speedwick fabric that offers medium support and helps move sweat away from your skin. A mesh back adds ventilation where you need it most.